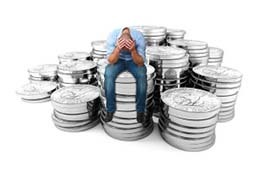 Everyone dreams of being a big lottery winner, of spending a few bucks on a ticket and—bam!—instant money and the end of all your financial worries. You would buy a bigger house, a nicer car, maybe even both of those things for the people you love. In the event that you ever win the lottery, then perhaps you can learn what not to do from the following stories. Do not be like the Zagamis, who purchased a scratch off ticket on a routine visit to the grocery store, then accidentally threw it away in one of the grocery bags. Luckily for them, the Zagamis were able to recover their ticket from the garbage and cashed in on a million dollar win. Here is another mistake to avoid. If you habitually enter the lottery, then be sure to always check your tickets. When Ron Yurcus of Illinois discovered a large stack of lottery tickets while cleaning off his desk, he decided he'd better check the numbers before throwing them away. Turns out that was a million dollar decision. 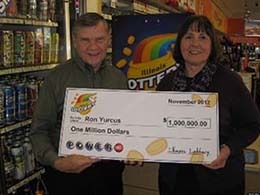 Ron had actually purchased the winning ticket three months before and it had been on his desk the entire time! If that's not enough to convince you to be careful with your lottery tickets, then consider Jose Cua-Toc, who gave his winning ticket to his boss to claim on his behalf. Cua-Toc feared his undocumented status would void his claiming the big prize, so he decided that he should have someone else claim it for him. Someone did—his boss claimed it for himself! Cua-Toc ultimately hired an attorney and successfully sued his former boss for his lottery winnings, but that came with a hefty price tag and a hard lesson in who to trust. If you won $15 million dollars, after you went on a large shopping spree, you'd probably seek the advice of a financial advisor, wouldn't you? You wouldn't want to waste your lottery winnings. You'd want to invest them properly to ensure that you never had to worry about your finances again, right? 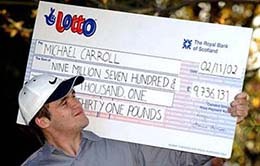 Maybe you would, but not Brit Michael Carroll, who decided that building a demolition derby and smashing up expensive luxury cars was the best investment for his lottery winnings. Or Evelyn Adams, from New Jersey—who actually won the lottery twice—and gambled away nearly all of her lottery winnings in Atlantic City. Be sure to live the dream and make smart decisions when you win the lottery, not let it turn into a potential nightmare like these folks did!